A $3.12 million initiative will develop a new Australian home battery standard for batteries connected to rooftop solar power. Led by global certification body DNV GL, and backed by $1.4 million in ARENA funding, the project aims to help customers make the best decision when purchasing battery storage for homes and businesses. The proposed Australian Battery Performance Standard will cover residential and small commercial systems. It is aimed at batteries with maximum size estimates of 100 kW peak power and 200 kWh stored energy that are connected to a solar panel system. 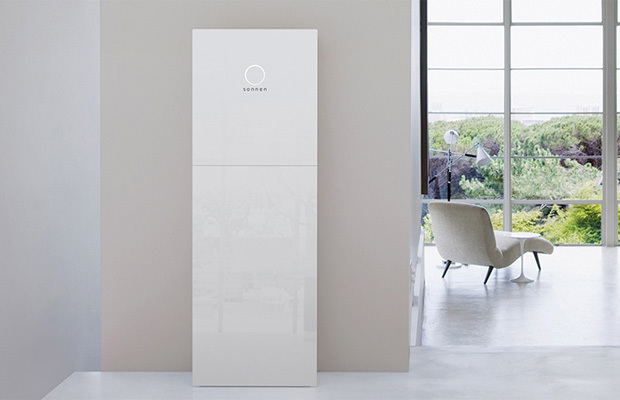 The new Australian battery standard will cover residential systems like this home battery from sonnen. The project has also received $500,000 in funding from the Victorian Government. Project partners also include Deakin University, CSIRO and the Smart Energy Council. A performance standard for home batteries would also help Australian consumers decide what’s best for them, said ARENA CEO Ivor Frischknecht. “The difficulty for consumers to make a well-informed choice presents a barrier to uptake of battery storage,” he said. Australia now leads the charge in residential energy storage, with 21,000 batteries installed across the country in 2017. Lithium-ion batteries such as the Tesla Powerwall 2 and pumped hydro have become the cheapest and most common forms of storage in the nation. This booming industry is growing to support soaring rates of home solar installations. Currently, 1.8 million buildings in Australia have solar power systems. The majority of these are residential. International energy and classifications firm DNV GL, which leads the project, has extensive experience in developing similar battery standards in the US and Europe. The Norwegian-based firm will produce a draft proposal within the next two years. This will then go to Standards Australia for consideration. To develop the standard, DNV GL has gathered a consortium of leading Australian storage organisations. The CSIRO will lend its battery testing expertise to develop official testing guidelines for domestic storage. Deakin University is also exploring approaches to battery capacity estimations. Finally, the Smart Energy Council links with local industry bodies.